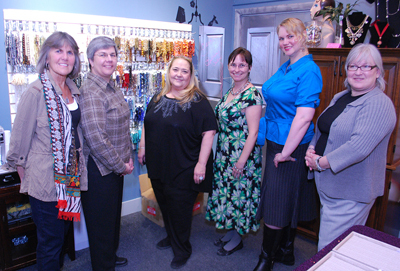 Last Wednesday the Network of Entrepreneurial Women had its Meet & Munch at A Bella Bead in Glen Ellyn. 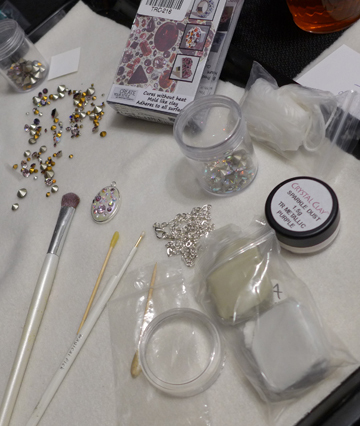 Since I am getting back into beading, I knew this was going to be a risky event for my wallet. 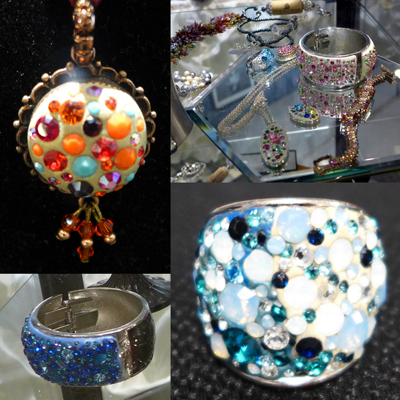 Sharon Dotson started out making jewelry when she wanted something to go with an outfit for a wedding. 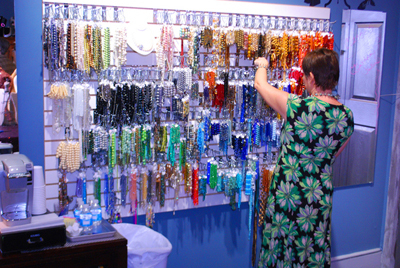 As she created pieces people would follow her in grocery stores and buy her necklaces right there. 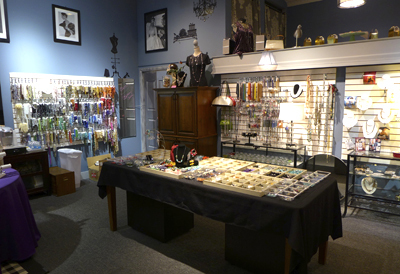 After doing trunk shows and fairs, Sharon opened a shop selling her jewelry, but when the owner sold her building after two years, it was time to make a change. 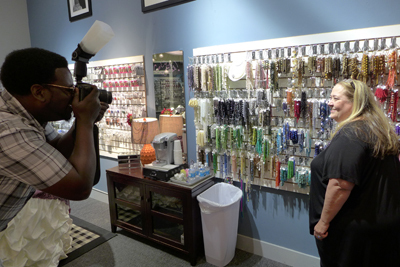 In October 2013 Sharon opened A Bella Bead, which provides beading supplies, beading classes, and handmade jewelry by Sharon. 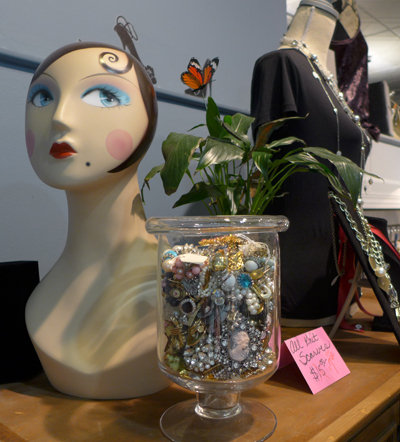 Sharon likes to re-purpose vintage pieces and matches crystals and other accoutrements of that time period to the base piece. 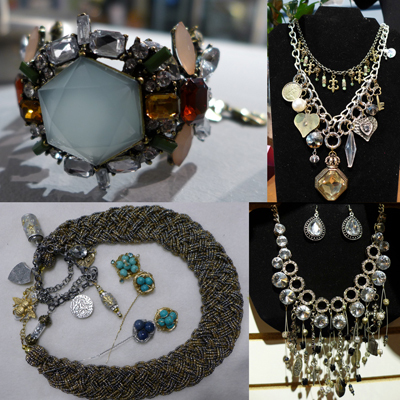 She can also do jewelry repair of vintage and not-so-vintage pieces. Sharon also believes in supporting the community and teaches classes at schools and churches. 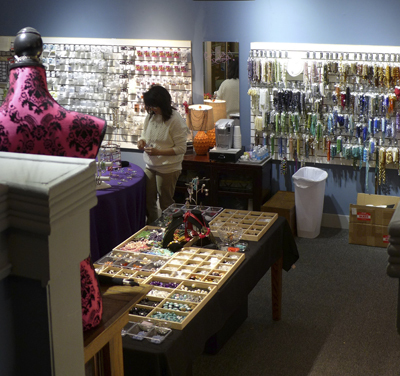 She hosts open tables on Saturdays where people can come in and play with beads for a set time frame. We quickly started discussing the challenges of solopreneurship in a retail store, and Sharon credits her family members and friends with keeping her going. 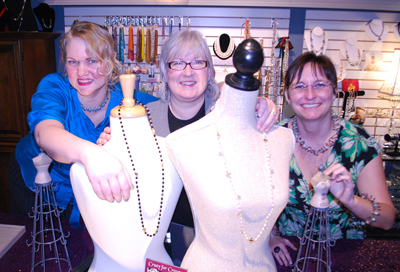 They volunteer their time and offer business insights that help her innovate and brainstorm new offerings. Our group discussed goal setting and how to determine whether to hire an intern or staff member. That theme continued in my inbox that evening when I came across Leonie Dawson’s How To Hire Staff When You Want To Do It All Yourself article. One member suggested taking 90 days as a “year” planning cycle, and setting milestones for those 3 months at a time. She said that just by doing one thing on that list, other tasks may work themselves out as an effect of that first action item. 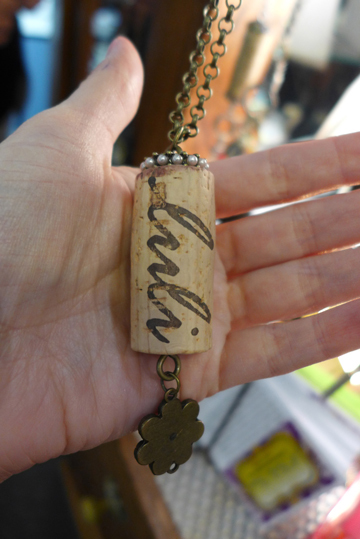 Sharon’s Wine cork classes and Cystal Clay classes are the most popular, and I can see why. 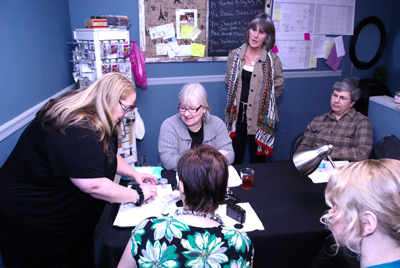 She led us through a demonstration which has me itching to buy a kit and get sparkly. 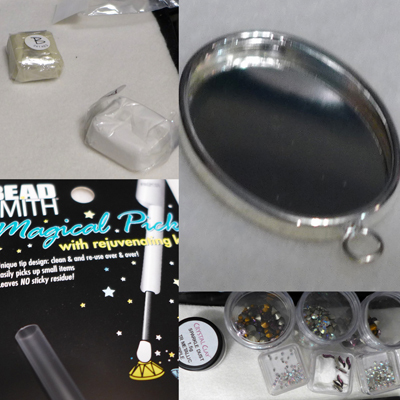 The kit comes with an epoxy (gray) and clay (white in this case but available in all kinds of colors), and a small stick with beeswax for crystal setting. 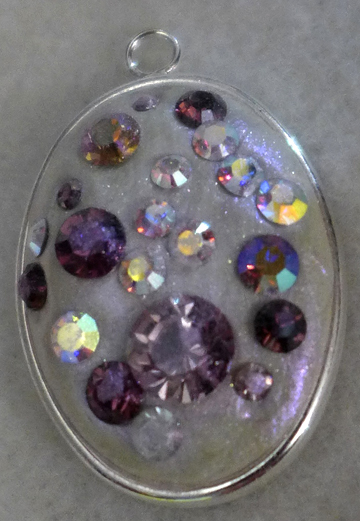 Sharon prefers using the magical pick for her crystals, and who wouldn’t want a touch of magic? You mix equal parts epoxy to clay and rub it together for it to adhere. 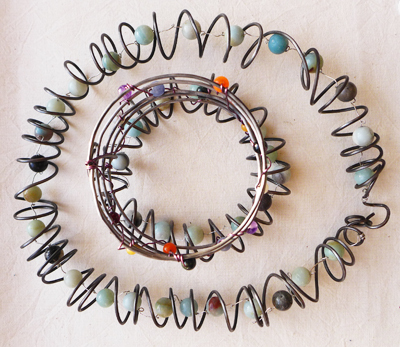 Then you place the clay into the surface you wish to embellish, a bezel, ring, bracelet, earring, pen, brush, comb, etc. They can be metal or plastic backings. 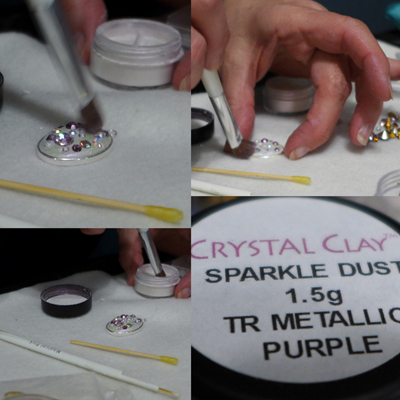 Then you set the crystals into the clay, either forming a design or just as inspiration strikes. 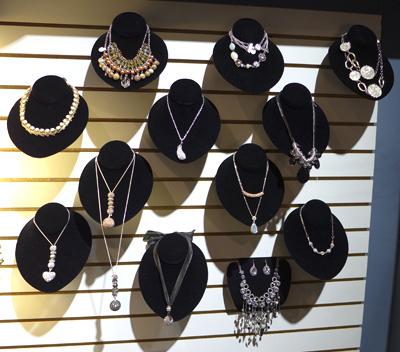 Sharon recommends Swarovski crystals as other crystals don’t have the same lustre. One has 2 hours to set the crystals before the clay starts to harden. 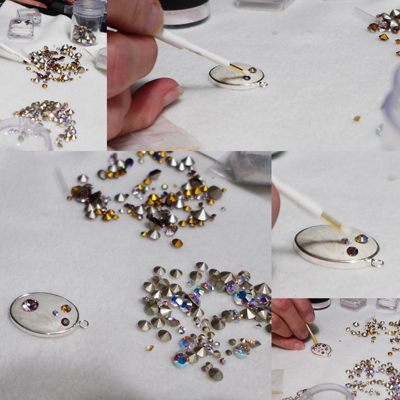 After all the stones are set, a little crystal dust is applied, which also comes in various colors. 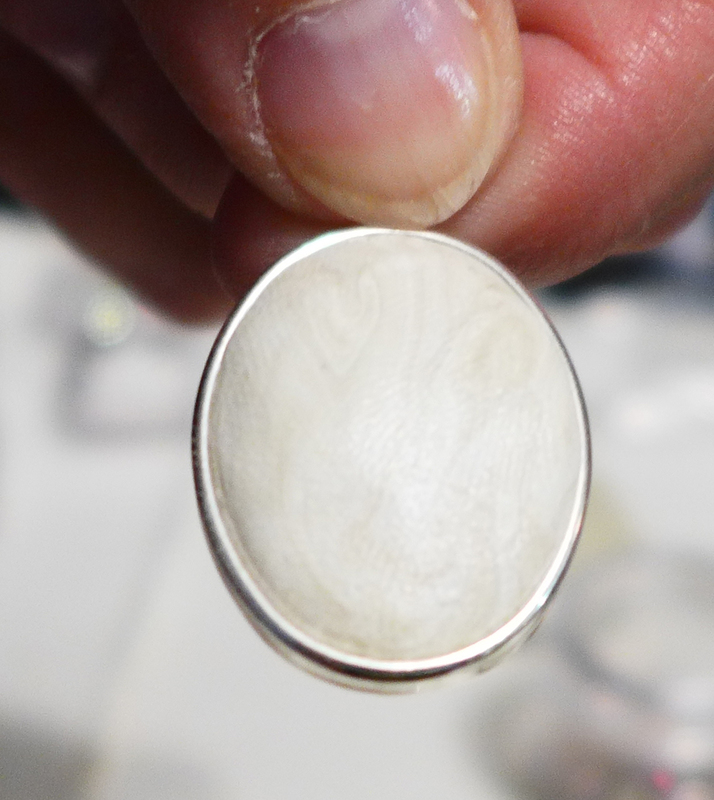 This gives the piece a shimmer rather than the matte clay finish. 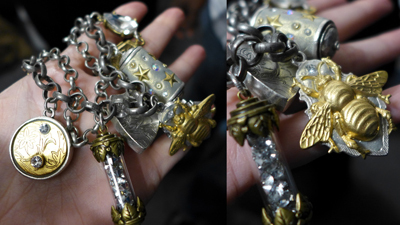 Et voila, a pendant is born. This will now dry for 24-48 hours. This could easily become a new addiction! 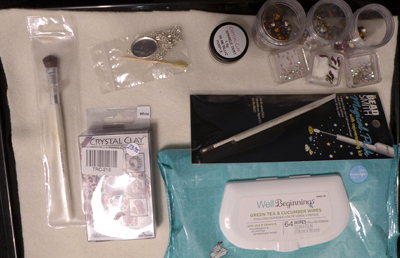 I opted for a few crystal beads to embed in a vision I had before entering the store, and I will leave the Crystal Clay kit for a time when I have made room for new tools in my overflowing supply drawers. 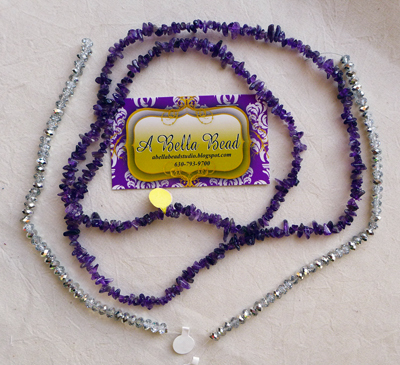 A Bella Bead’s calendar is updated on its Facebook page. We might have to do a wine cork class next! We also happily took some promotional photos to aid Sharon in her social media needs. Next week we’ll be dining at Symphony’s in Evanston and rotating after each course to get some quality networking time in with each other. (Last year’s progressive dinner was a blast). NEW’s May events are up on the calendar. We’ll be exploring Native American Culture at our next Meet & Munch and escaping to a spa during Wine Women and Wellness. Join us! 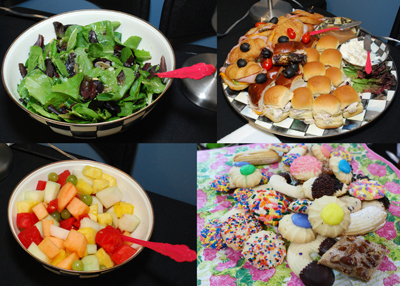 Oh yeah, we had delicious munchies too!